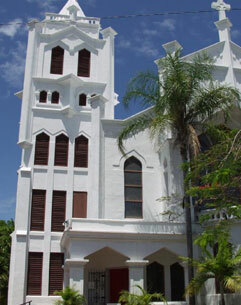 The artistic and cultural side of Key West's maritime heritage is celebrated with a full week of activities for those who wish to learn more about the rich and colorful history of the Florida Straits and the Caribbean. The Conch Republic Navy is hosting the Conch Republic Military Holiday Extravaganza and Official End of America's Hurricane Season Ceremony and Concert on Tuesday, Nov. 30 at the USCGC Ingham and USS Mohawk at Truman Waterfront. The public is invited and there will be live entertainment featuring the Pyrates of the Coast, Rich McKay, Mary Spears, Reuben Morgan and Mike Emerson and the Southernmost Brass Swing Band. On Dec. 1, enjoy launch with our distinguished lineup of authors and artists at Kelly's Caribbean Bar & Grill. The lunch starts at noon. We welcome back author and historian Robert N. Macomber, who is hosting a Reader Rendezvous. He will be giving a presentation on "Grog... A Drinking Story" at the Crowne Plaza La Concha on Monday, Nov. 29 at 7 p.m; a Walking Tour of Historic Old Town Key West (departs at 10am from Ambrosia Key West's Pink House, 615 Fleming Street.) The tour will be followed by a Book Signing at Voltaire Books. 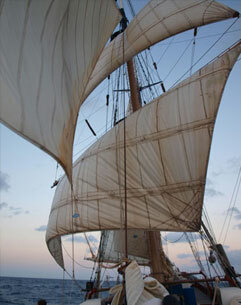 On Thursday, Dec. 2, enjoy an afternoon sail aboard the Schooner WOLF gives participants another chance to glean inspiration from the beautiful waters off Key West. Rosalind Brackenbury, Sandra Riley, Don Maitz, Janny Wurtz, John Viele and Norma Miller are among those sailing with Captain Finbar aboard the Flagship of the Conch Republic. That evening, everyone is invited to El Meson de Pepe's Caribbean Pirates Buffet on Thursday (7 - 8:30 p.m.) to join our visiting authors and historians for a scrumptious pirate feast. 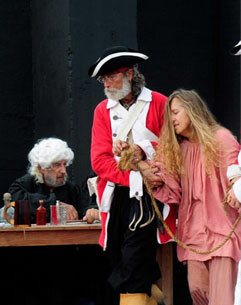 For real piratical theatre, the Pyrate Tryal of Anne Bonny & Mary Read is an event not to miss. This historic re-enactment takes place at the Pirate's Village & Thieve's Market at Truman Waterfront at 11 a.m. on Saturday, Dec. 5. Seating is limited and reservations are suggested.